Carlton has re-signed Simon White and Frazer Dale in preparation for the 2013 season. Promising youngster Frazer Dale speaks to carltonfc.com.au about his elevation to Carlton's senior list. The son of a former Melbourne footballer and the nephew of a former Australian Test cricketer, Frazer made giant strides as a rookie, earning his first senior call-up against the Bulldogs and memorably booting his maiden goal after the siren. 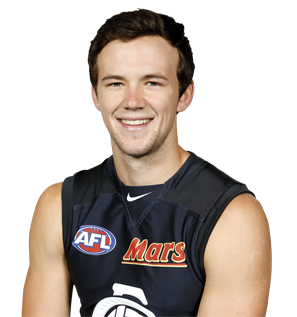 A lively, versatile participant, Frazer shapes as a key component in Carlton’s senior teams of tomorrow.